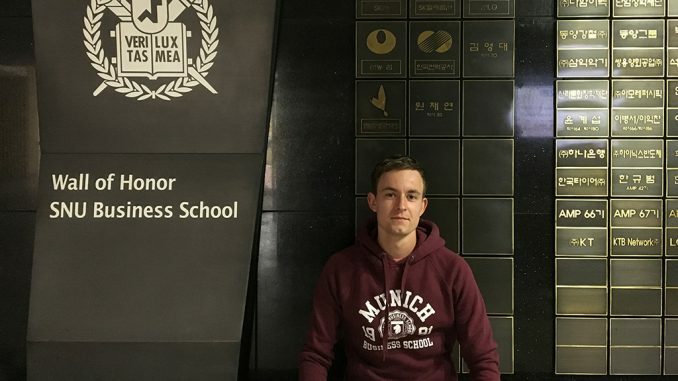 Jan Töpfer, Master International Business student at MBS, is currently spending his semester abroad at Seoul National University (SNU) in South Korea. Here, he regularly shares his experiences. 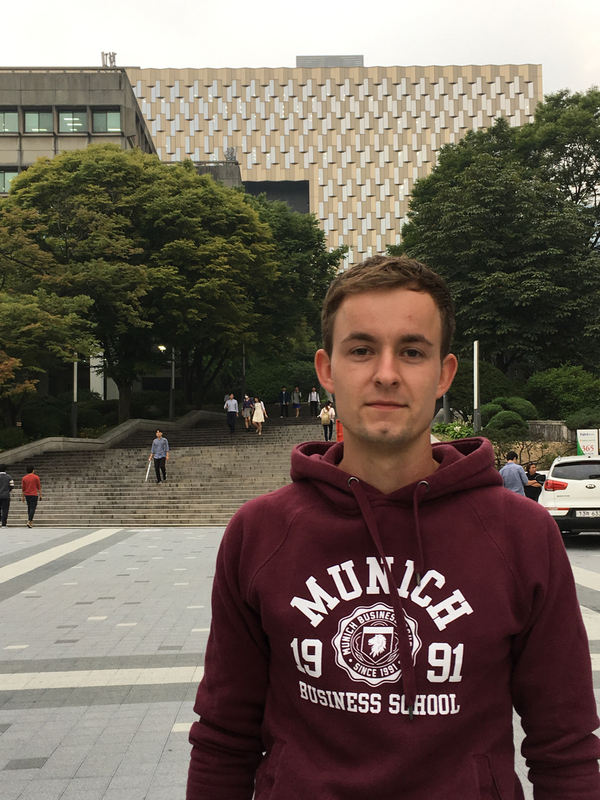 Update: Nearing the end of his semester abroad, Jan shares his thoughts on living in South Korea and studying at Seoul National University. Looking back on your semester abroad, are there things you would have done differently? I really can’t think of anything I would have done differently in retrospect. The decision to go to South Korea was the best I could do. The university is perfect and I also made the right course selection. At MBS though, I would have chosen the “Business in China” course instead of “Business in the USA”. View of Seoul from Lotte World Tower. What advice would you give future MBS students going abroad to your host university? In any case, I would recommend that you pay very close attention to the content of the courses when choosing them. Some courses involve an immense and sometimes incomprehensible amount of work, which can destroy your travel plans or other activities. In addition, as an MBS student – and if you have not studied at a public university previously – you should be aware that the courses are extremely theoretical and therefore fundamentally different from the courses at MBS. 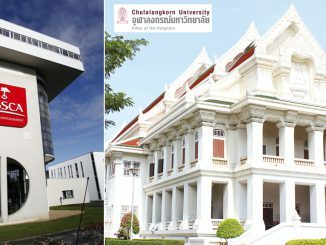 Since the range of Master courses taught in English is very small at the College of Business Administration, you should also take a look at the courses at the other colleges. My personal experience is that you can find especially interesting courses here. For example, I had the opportunity to learn about the development of the Chinese financial sector at the Graduate School of International Studies. I would also recommend taking part in the Buddy Program and a club as this is the only way to really participate in campus life. What has been your favorite experience this semester? I have always had the best experience at events organized by Korean Buddies or the university itself, whether it was trips to the surroundings of Seoul or visits to Korean companies (e. g., a factory tour at Hyundai or a visit to the Samsung headquarters). Any additional comments/thoughts/experiences you would like to share? What I have really been able to perceive here is the shift in global economic dominance towards Asia. For me, this is where the future of the global economy lies. I recommend every business student to take advantage of the opportunity to spend a semester abroad in an Asian country, whether in China, Korea, or South-East Asia. 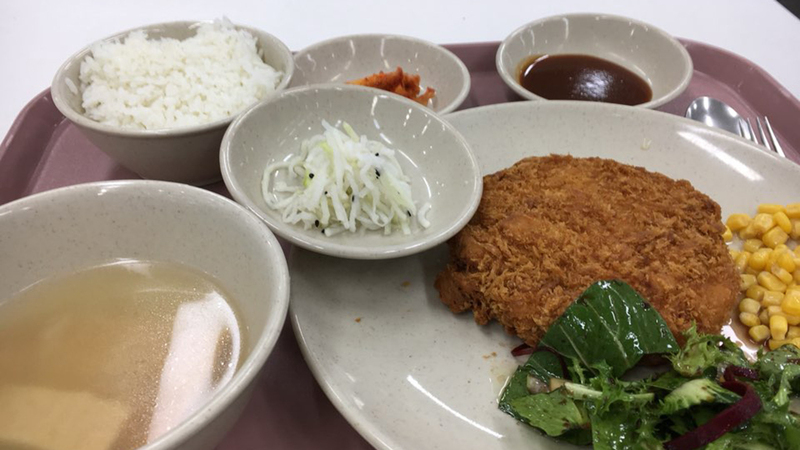 Update: Some weeks into the semester, Jan shares his experiences on living and studying in Seoul. What’s different/similar to life at MBS/Munich? The biggest difference between MBS and SNU is definitely that the entire university life takes place on-campus, and you actually spend the whole day there. On some days, for example, I’m already on the sports field at 7 am playing football, after which I have breakfast in one of the canteens before going to the lectures. One of the few things that MBS and SNU have in common is the design of the lectures (at least in the courses I attend). The assignments mainly comprise group work, presentations and papers, I don’t do classical exams here. 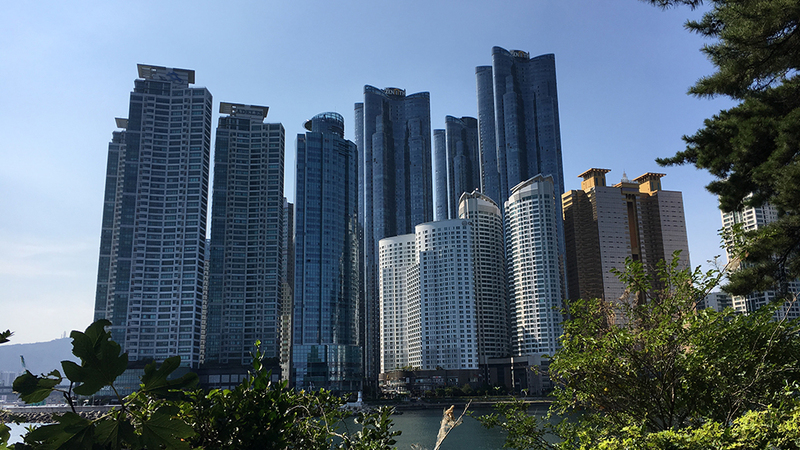 The skyline of the city of Busan. Have you travelled to other sites in your host country? What have you seen? 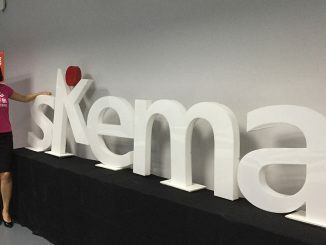 What were your experiences? Although Korea is a highly developed country, travelling outside Seoul is sometimes a bit difficult. Busan, another city with over a million inhabitants in the south, is easy to reach via the KTX, a fast train similar to the German ICE. 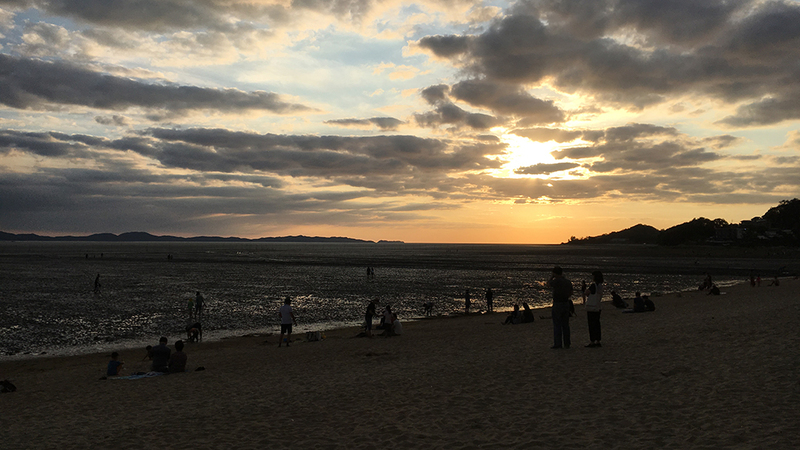 Rural regions such as the island of Ganghwa in the west can only be reached by buses with very long journey times – even though the distance to the island is not that long. By participating in the Buddy Program, I also had the opportunity to make a trip to the popular holiday region around Chuncheon during Chuseok (the Korean Thanksgiving Festival). The beautiful island of Ganghwa. 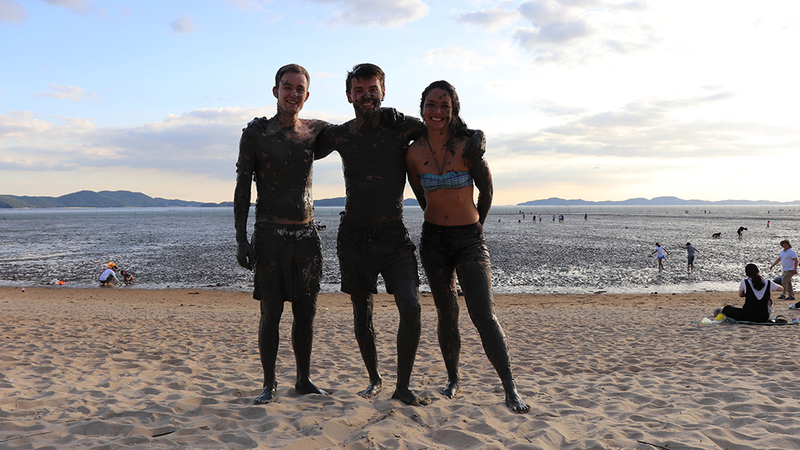 Jan (left), together with fellow students at the beach of Ganghwa Island. What has your involvement at the host university looked like? Have you joined clubs or sports teams? SNU offers an unimaginably large number of on-campus activities. Most of them are offered by student clubs: there are a lot of sports clubs, but also cultural ones such as singing, dancing or theatre clubs. At the beginning of the semester, the clubs introduce themselves, and you can easily register. I joined the football club and am a member of the Buddy Program, which is a great way to meet fellow students from other colleges. From time to time, I also attend the “German Café”, where German native speakers meet Korean students of German language and literature studies in order to have conversations in German. In addition, I often attend guest lectures given by professors from other renowned universities in Asia. 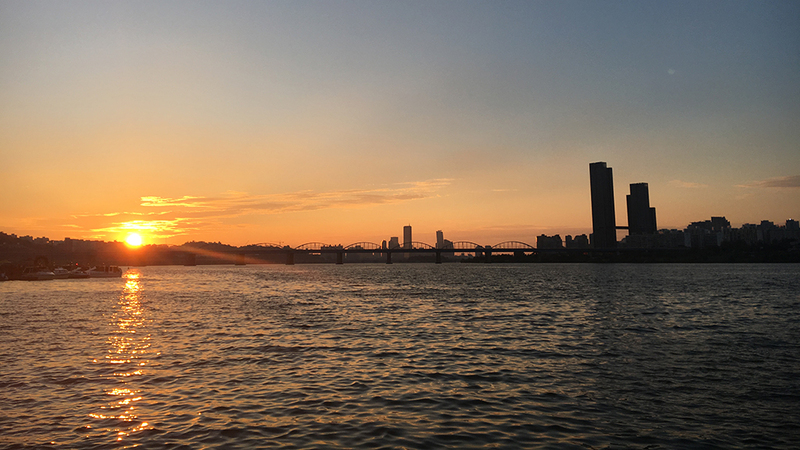 A view of the Han River, which flows through Seoul, during sunset. Most Europeans can’t really imagine much when thinking of South Korea. Of course, most people know some of the companies such as Samsung, Hyundai or LG. But neither I could imagine what the country itself looks like. 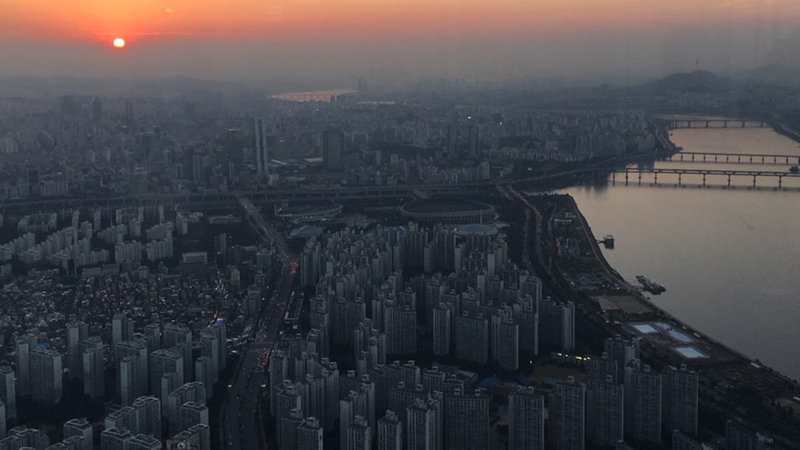 When you look down at Seoul as you approach it, you realize the dimension of the city because you can only see dense buildings up to the horizon. About 25 million people live in the Seoul region, which is half the population of South Korea. The technological progress in everyday life is most noticeable. Almost everything is paid noncash, old cars don’t exist, soon the next mobile phone standard 5G will be introduced, and WLAN is actually always available, even on the street. Seoul’s cityscape is dominated by skyscrapers, green areas and historic buildings, as we know them from European cities, are almost non-existent, which can be attributed to the destruction of the city during the Korean War. Nevertheless, in this city, which NEVER really sleeps, you feel immediately comfortable and above all safe, even though the North Korean border is just a few kilometers to the north. You will be searching for a supermarket in Seoul (almost) in vain, food is actually only bought on demand and mostly in a convenience store. These small shops, which are to be found here in a dizzying number, offer the most important everyday products and are open 24/7. After doing my Bachelor’s degree at a rather small public university and now doing my Master degree at MBS, I wanted to use the semester abroad to attend a large university for the first time. I also wanted to go to Asia because I have never had the opportunity to visit this continent before. What particularly appealed to me at Seoul National University is its elitist standing in Asia: only the top one percent of all those who pass the university entrance exams can apply here. Most of all, of course, I wish for an unforgettable time in Korea. I would also like to use the time at SNU for networking, preferably with Koreans, but also with the other international students who spend their semester abroad here. After all, SNU alumni account for a good third of the CEOs of Korea’s 500 largest companies. How were your first days in Seoul? Since I arrived in Korea one month before the beginning of the semester, my first days consisted mainly of organizational matters: I took care of an apartment, applied for the Alien Registration Card (a kind of Korean passport for foreigners) the immigration office and purchased a Korean SIM card. I also tried to explore Seoul, and I quickly realized that it would be impossible to get to know all corners of the city during my stay, given the size of the city. A big difference to other cities lies in the fact that there is not one city center, but several, which are spread over the city. For example, the wealthy Gangnam, where I live, which is best known for its nightlife; Hongdae, which is dominated by students; Itaewon, where most foreigners stay; and the old town north of the Han River with its palaces and temples.